Trout Unlimited’s Home Rivers Initiative is continuing to train young scientists in the Rogue River Watershed. 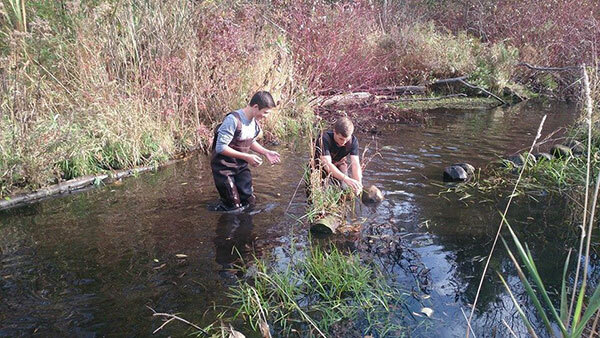 This fall, students from Cedar Springs High School have worked with Trout Unlimited on the Leaf Pack Network, a network of citizens, teachers, and students investigating their local stream ecosystems. 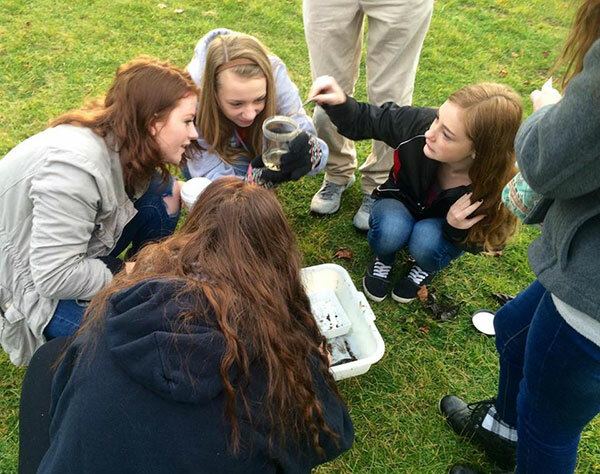 Students from eight science classes have designed experiments studying stormwater pollution, lack of riparian buffer, excess sediment, and other factors to better understand their local trout stream, Cedar Creek. They created artificial leaf packs and placed them somewhere in the creek, depending on their experimental conditions. The students waited for the leaf packs to stay in the stream for 4 weeks so that they could be colonized by macroinvertebrates. On Monday, November 16, Trout Unlimited took the students back out to Cedar Creek to collect the leaf packs and the macroinvertebrates within. On Tuesday, they worked in the lab to identify the bugs and get a stream quality score. The data, which varied from scores of excellent to fair, will be uploaded to the Leaf Pack Network, where schools from all over the country have entered local stream conditions. Additionally, TU can use the macroinvertebrate data to prioritize sections of the creek for restoration or to identify sources of pollution. To date, the Home Rivers Initiative has worked with over 550 students on the Leaf Pack Experiment. The experiment is a great way to give students hands-on, real world research experience while raising awareness of the importance of streamside forests to the ecology of rivers and streams and to promote their stewardship. The Rogue River Home Rivers Initiative Project is funded by the Frey Foundation, Grand Rapids Community Foundation, the Wege Foundation, the Wolverine World Wide Foundation, and the Schrems West Michigan Trout Unlimited. 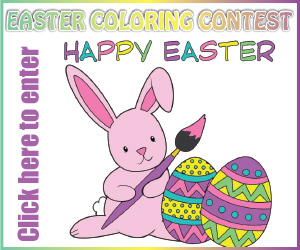 cspoststaff - who has written 15263 posts on Cedar Springs Post Newspaper.